We were recently looking for a fun night out for a friend's birthday. Wanting to keep local but after something more than a pub crawl. Then Chris mentioned that there was an 80's Night at The Cliff Hotel, Gorleston. I have previously blogged about The Cliff and you can find out more information about the hotel and its facilities on their website. So the night was set, March 12th at 7.30pm, 80's Night with Electro Band and DJ, you may know him ;). 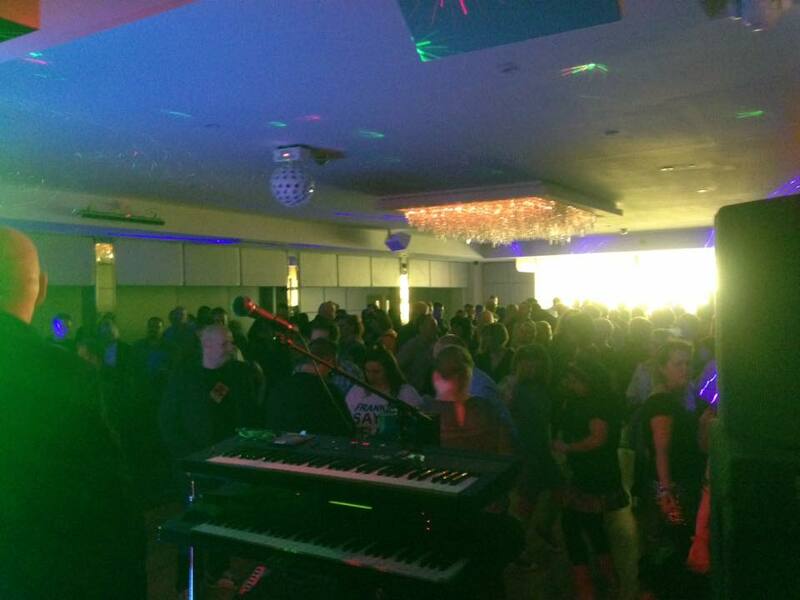 The night started with resident DJ playing some of the popular hits of the 80's and really built up an atmosphere. Drinks are reasonably priced and the bar offers a full range of wines, soft drinks, beers/larger/ciders and (my favourite) cocktails! Plus the usual spirits. At 9pm the Electro Band started up. They are a 4 piece band plus Robotic performer. I wasn't sure whether he was real or not at first and he was certainly a talking point! As a group of 15 women (on the wrong side of 30 [cough40cough]) we had previously decided to dress up in 80's gear - the brighter the better! And it certainly proved for fun getting ready, lots of hairspray and back combing! There were a few others dressed similarly but most people were wearing usual going out wear. The band had a short break halfway through their set and the DJ took control of the music again. Then the band were back to play more Electro 80's (I must admit I didn't know many of the songs bet it didn't stop me dancing and enjoying it.) Once the band finished the DJ was back for the final half an hour and the night ended with a packed dance floor. The atmosphere remained great, we didn't see any hassle and everyone was there for the same reason - a good time! £26.95 per person – includes two course meal, entertainment & after party disco until midnight, we are taking along some friends withus who are visiting for the night, cannot wait!